Can You Freeze Yogurt (Natural & Greek)? Yogurt, an ingredient in many dishes and cuisines worldwide, also finds use as a side dish or as an independent dish in itself. It comes in various flavors and types and can form a tasty afternoon snack or be a part of a recipe in special dishes. So, can you freeze yogurt? Read more and check out a few interesting recipes for this treat, too. Can You Freeze Different Types of Yogurt? Culinary experts and chefs around the world have a favorite tip for everyone. They can tell us how to prolong or extend the life of most ingredients. It is something that many of us already know, but when we hear it from them, we get an assurance of its usefulness. A very simple way to prolong shelf life is to freeze food items. Either deep freeze them after a proper wrap or refrigerate them to regulate the temperature and prevent spoiling. The United States Department of Agriculture’s Food Safety and Inspection Service suggests that it is perfectly fine to freeze any type of yogurt in an airtight container or place the serving-sized cups in thick plastic bags to preserve yogurt and prolong its shelf life. Another very popular type of yogurt is Greek yogurt. It is a healthy snack and is also a part of many recipes. Many popular chefs and food bloggers will also authenticate the fact that it is perfectly fine to freeze Greek yogurt; it is known to extend the life of the yogurt by at least a month. A cup of yogurt that is thawed may have some change in its texture and taste, though. What Happens When You Freeze Yogurt? When the yogurt is frozen, the bacterial activity becomes somewhat dormant, except for the cryogenic bacteria if they are present. However, that is not the case with thawed foods. On the whole, one should be careful with foods that are thawed because they may not remain fresh and edible. How to Freeze Different Types of Yogurt? Whether it is a homemade, Yoplait, or Greek yogurt, both the freezing process and the consumption process remain more or less the same. If yogurt cans or cups are unopened, you might risk the cup bursting in deep freeze as the yogurt may expand. Placing the cups in airtight Ziplock bags prevents the yogurt from overflowing in case the cup does burst and it also prevents the yogurt from picking up odors from other stuff in the refrigerator. Meat and fish are popular candidates to pass on their odor to other items. Another idea to ensure equal and homogeneous freezing is to open the cup, stir the contents with a spoon, and then reseal it with a cling wrap or aluminum foil. Take out of the freezer as needed and thaw in the refrigerator for a couple of hours. Mix or stir it again before eating to get the same taste as before. How Does Freezing Affect the Quality of Yogurt? If frozen properly, the quality of the yogurt is not affected. However, some of the yogurt may separate when thawed. It is, however, still perfectly fine to consume. A little stirring to make the mixture homogeneous again can help to bring the texture back to its original form. A thawed out yogurt cup may also cause the yogurt to become grainy and watery. As long as the grainy structure does not bother you, even this yogurt cup is good to consume. It is critical to note that if the yogurt remains outside the refrigerator for more than two hours after thawing, it may not be consumable and should be discarded. A number of studies have been conducted to check if any supplements can be added to improve its texture, life, and nutrients. Consuming yogurt that has probiotic cultures added to it is known to improve digestion because of the friendly bacteria in it. An independent study conducted jointly at the University of Washington in the U.S. and the University of Agriculture in Pakistan studied the effect of adding supplements like inulin and glycerol to probiotic frozen yogurt. Inulin is basically a carb, a type of dietary fiber or polysaccharide produced by certain plants. So, it helps with regulating metabolism, bowel movements, and may aid in managing weight. Some research conducted by the Department of Health and Nutritional Sciences at the University of Guelph in Canada says that inulin, when added to yogurt and eaten for breakfast, helps reduce post-prandial appetite without dropping energy levels. So the goodness of yogurt along with all its protein content plus inulin seems an extremely healthy combination. When certain quantities of supplements were added, the overall quality and certain physical, as well as chemical, properties of the frozen yogurt improved. The softness as well as overrun could be controlled and changed to suit the preference of the consumers. Details of another study also focused on the addition of inulin as a supplement. 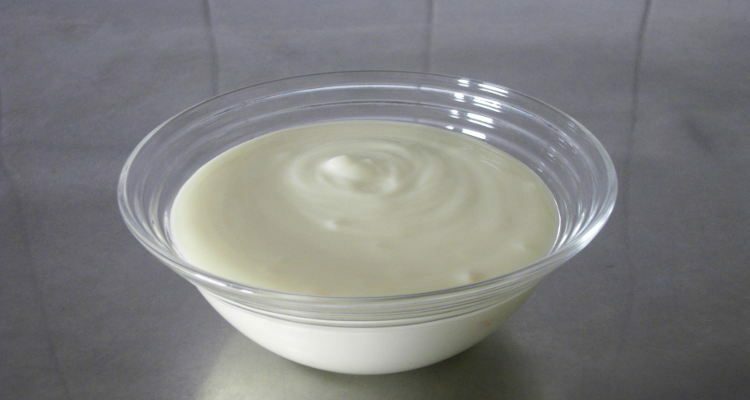 It was seen to improve the overrun, viscosity, and melting properties of yogurt significantly. You can add your own supplements to your homemade yogurt in the form of fruits. That will also make it rich in fiber and other nutrients present in the fruits along with protein content in the yogurt. However, make sure to eat it fresh; avoid freezing it as much as you can. How Long Can You Freeze Yogurt? Thawing and refreezing can have a significant effect on the quality and taste of the yogurt. If you doubt the texture, consistency, or if the cup smells odd, it should be tossed right away. Freezing Greek yogurt can be an interesting thing to do and this yogurt can be used for several purposes. Put some Greek yogurt into ice trays and let it freeze. If you want, you can even add a few fruit pieces such as apple, strawberry, or banana to the same. Once the cubes have formed, keep them in airtight containers in the freezer. Whenever you wish to have a smoothie, just take some chilled milk and blend it with three or four cubes in a blender. Yogurt popsicles are another wonderful and yummy desert. Pour the yogurt in molds and freeze it. Add your favorite juice or flavor to it and set the molds in the freezer. In a few minutes, the delicious dessert is ready to eat. This tasty and healthy snack can either be a part of a recipe or eaten as is. Yogurt also helps you with good bacteria that are known to improve digestion. Storing it properly can extend the shelf life; however, it is important to be aware of the use-by and sell-by dates on the container to know if it can be consumed. Also, even when you extend the shelf life beyond the noted date by deep freezing the yogurt, be careful and check for its consistency, odor, and other physical properties before you eat it.